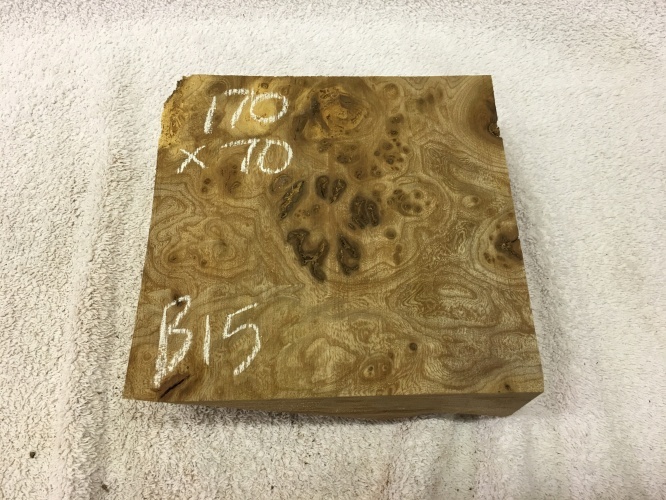 This comes from some logs rejected by the veneer trade due to a very large cavity throughout them, we slabbed them and are just starting to resaw the cants ensuring it is all cut to produce the best eye pattern on the face of the blanks. 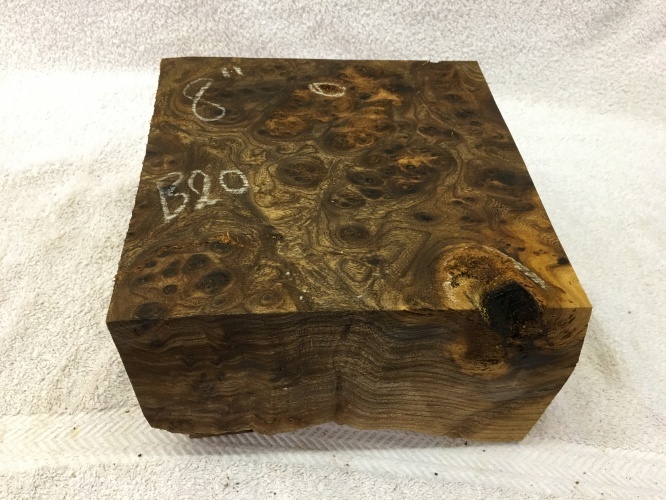 The logs have been down for a while and whilst it is not dry by any means, due to the hollow present inside they are not wringing wet, they do need to be rough turned to dry or turned thin and left to warp. 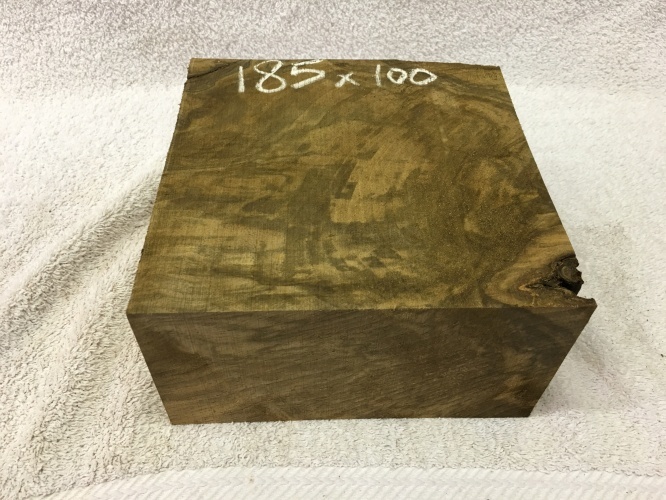 The thickest of these blanks have been sealed once the images were taken. 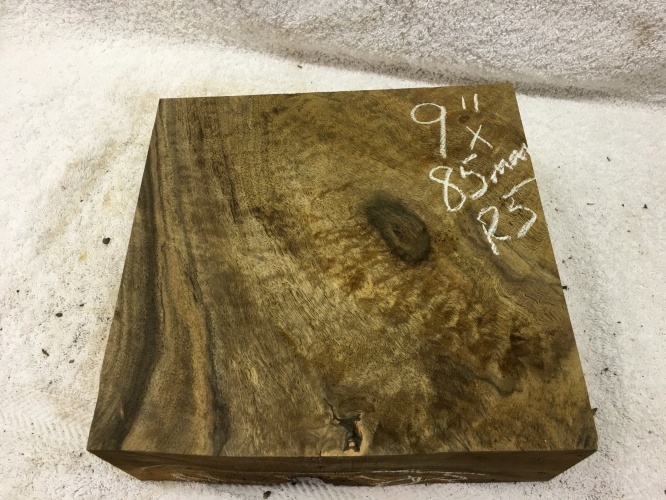 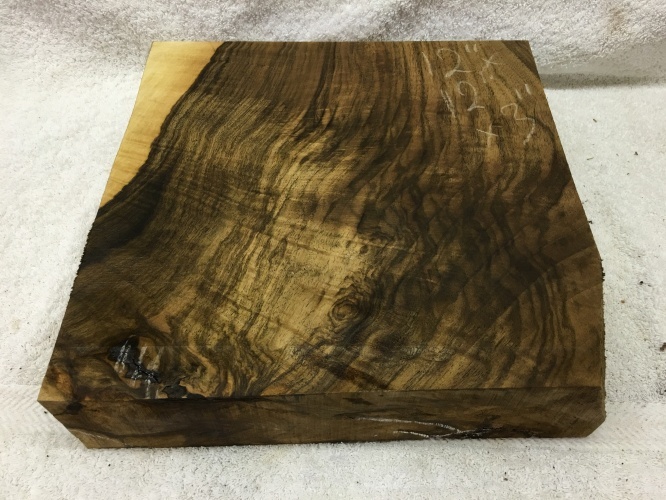 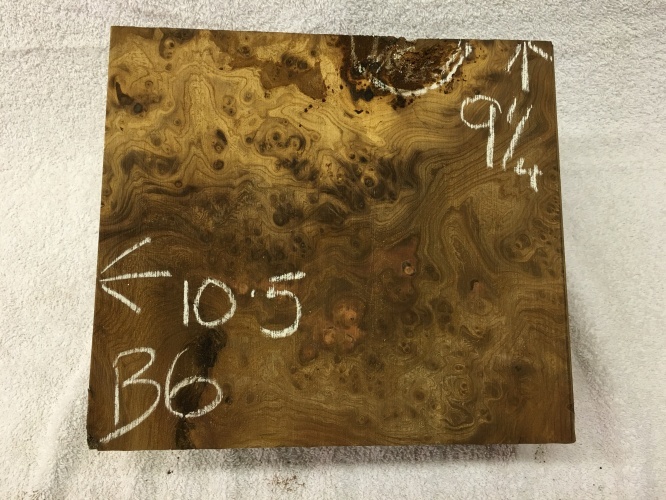 I would treat this as fresh sawn although it is not as wet as fresh sawn if that makes sense, some of these blanks up to to 7" thick they would never dry out even if we were to leave them the next 5years in which time they would check and open up. 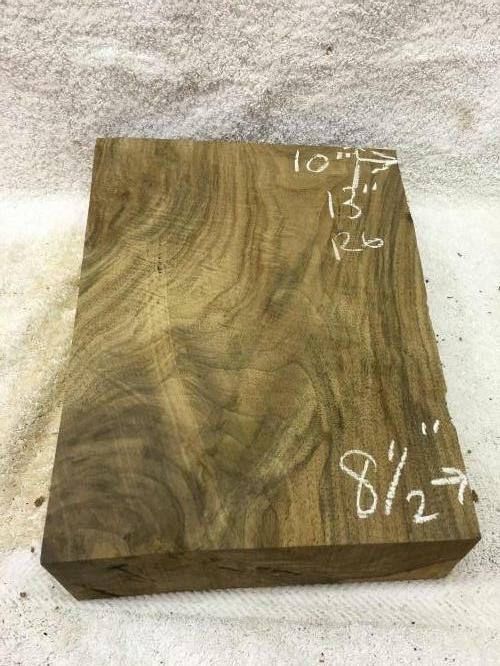 If you wish we can resaw these thicker blanks to give you two thinner ones. 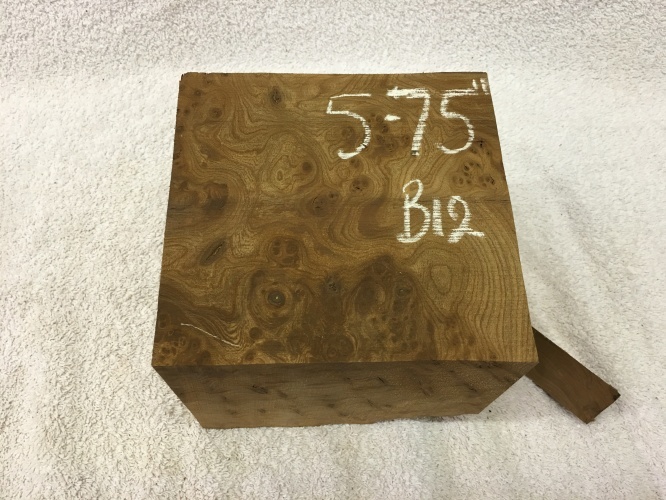 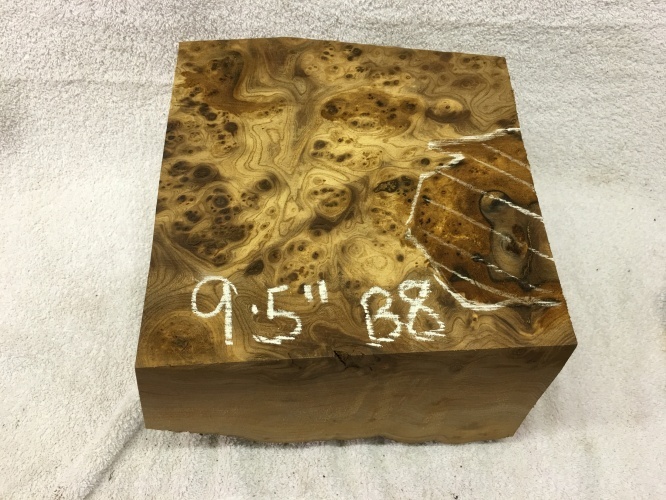 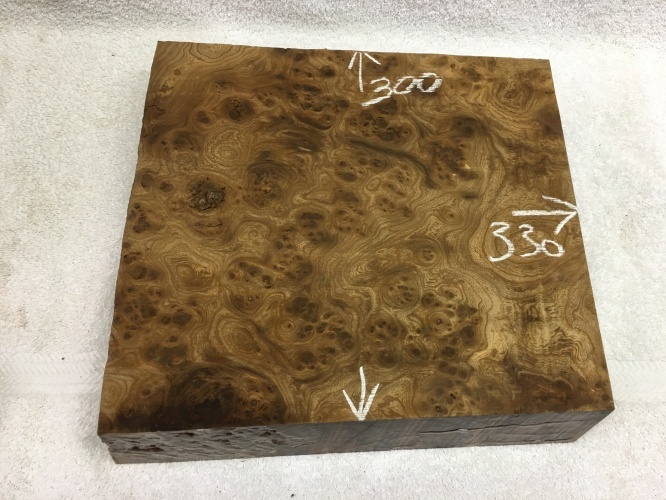 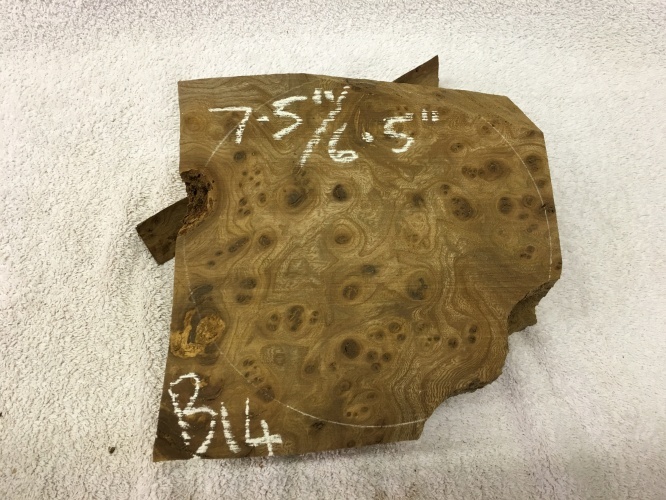 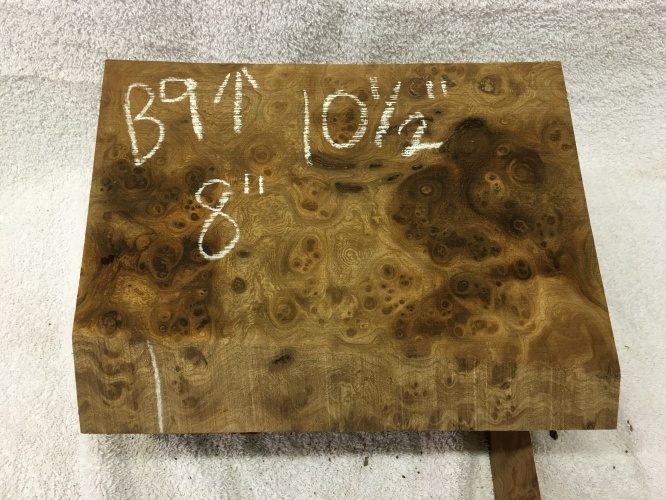 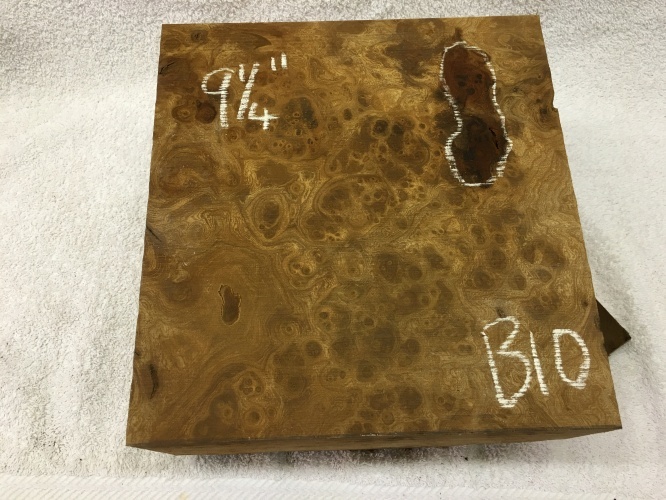 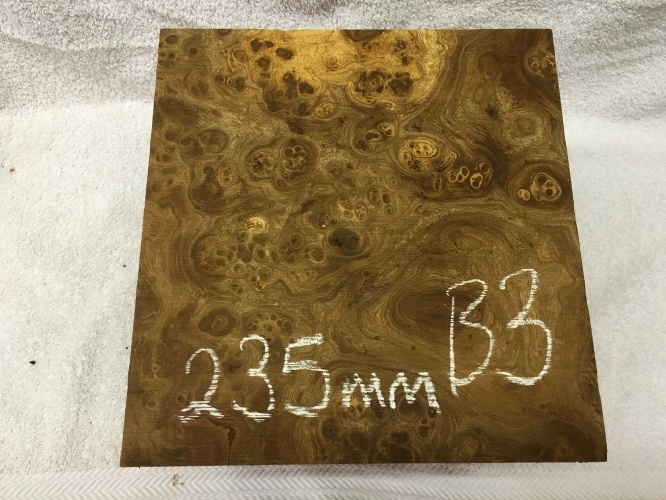 Sizes are on the piece, the sizes are on the edges are a guide to the minimum and maximum thickness when turned please bear in mind they are a guide only. 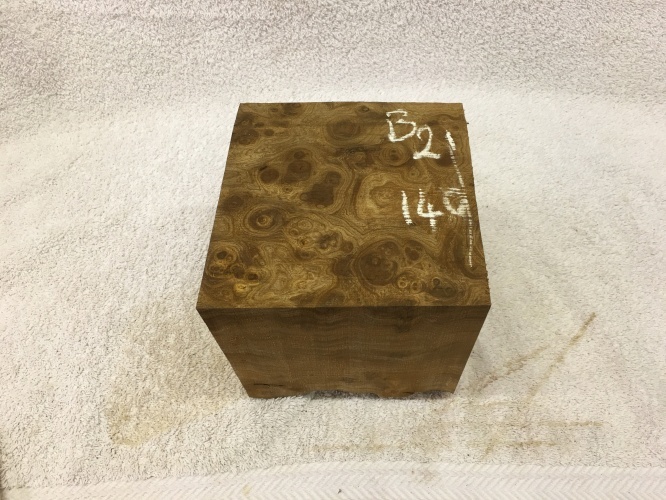 Pictures play a major role in describing the item.I have around 2.5t plus to still process and will be processing into blanks over the next few weeks. 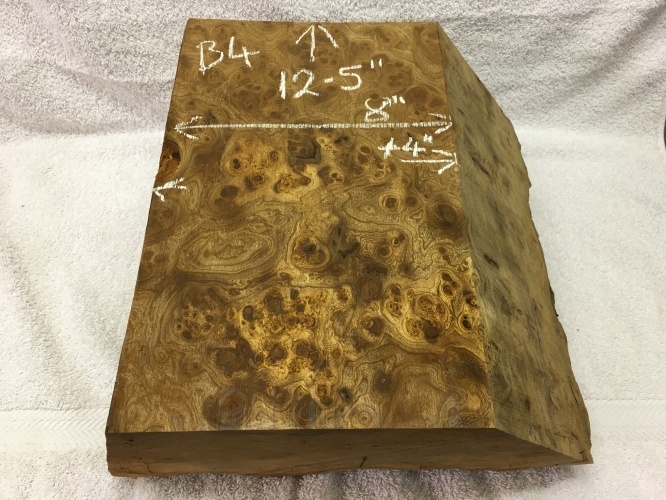 The smaller blanks can be sent free of charge via 2nd class as can any item weighing under 2kg when packed, if you wish to purchase more than one item then the 10.50 charge is for a UPS24 Service allows for up to 15kilos with a slight increase for up to 30kg and is for the mainland Uk only not to include isles or destinations classed as remote of the UPS carriers. 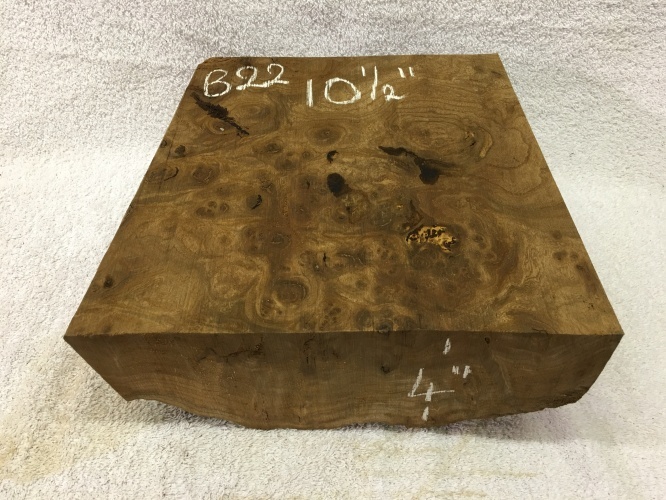 This piece weighs 2.25kg if it is trimmed to a little under 2kg it could be sent for free.